I was born in Philadelphia February 22, 1946. My parents and I moved to Tucson in a 1937 Pontiac my dad had bought for $125. We went back east the next three summers in that ancient jalopy and Dad finally sold it for $150. It's undoubtedly a collector's item now — or 10,000 recycled dog food cans!.. I made wonderfully average grades in school. I graduated at the bottom of the top 3/5 of the class of '64, Catalina High School in Tucson. In 1962 I met Linda Ronstadt and we sang together at little beatnik coffee houses and open air hoots. We did a couple of live radio shows on KTUC in 1963 and several shows on KOLD-TV in Tucson and KOOL-TV in Phoenix. In 1964, Linda went to L.A. to try to get rich and famous, and I went to the University of Arizona to study art (and stay out of the war at the same time). I joined the rock group Dearly Beloved in 1965. In 1966 Linda called me from L.A. and asked me to join the Stone Poneys. I declined, saying I was too involved with my local rock band. (We had a regional hit and were expecting to hit "the big time" any minute.) Early in 1967, Linda called me again and asked me to join. Sorry, no thanks. In late 1967, she asked me AGAIN. Something told me I'd better not decline a third time. "Different Drum" was creeping up the charts and I couldn't refuse. So I joined the Stone Poneys in November 1967. We rehearsed like crazy, finished the third Stone Poney album, toured the entire country for 21/2 months, played on Joey Bishop's and Johnny Carson's TV shows, went crazy for lack of sleep, and parted company (after the last gig in May 1968) reasonably good friends but a little disillusioned about "the big time.' Thus, I became probably the only person ever to turn down an offer from Linda Ronstadt TWICE and STILL get hired! Then followed several years of solo performing, interspersed with several bands - the best of which was the Floating House Band with ex-Stone Poneys Kit Alderson and Bob Kimmel. I played sleazy bars, plush lounges, wedding receptions and concerts, the latter with such notables as Roger Miller, Tanya Tucker, Marty Robbins, Mimi Farina, John David Souther, The Dillards and Tom Waits. Tom had me play guitar and sing with him on his first Asylum album, "Closing Time," in 1973. 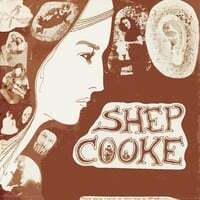 I recorded my first solo album (WWC Records 001) in 1976 on a shoestring budget. It paid for itself in the first three months after release, with only sporadic local radio play and zero record store promotion. I must have done something right. (It is a limited edition so hang on to those copies, folks— they'll be collectors' items if everything goes according to Plan A!) Since then, I've done some session work for an album called "Domino Joe" by the Dusty Chaps which was released by Capitol. Also, my song "Roller Coaster Ride" was included on the first "Arizona Sounds" album released in 1977 by KDKB in Phoenix. 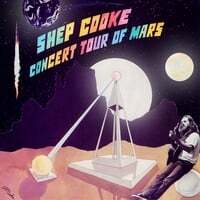 The songs on this second solo album, CONCERT TOUR OF MARS, were written over a period of seven years and were recorded in three different studios in Tucson and L.A. The title cut is a mad little adventure novel put to music with accompaniment the likes of which you have seldom heard. I also recorded a couple of standard tunes which I've wanted to do for many years; I performed "Jamaica Farewell" on ukelele sometime back in grade school, and "Long Black Veil" turned me on the first time I heard it in the early Sixties. In all, there are two standards, two traditional love ballads, and seven of my own compositions. I hope it will rest easy on many eardrums!